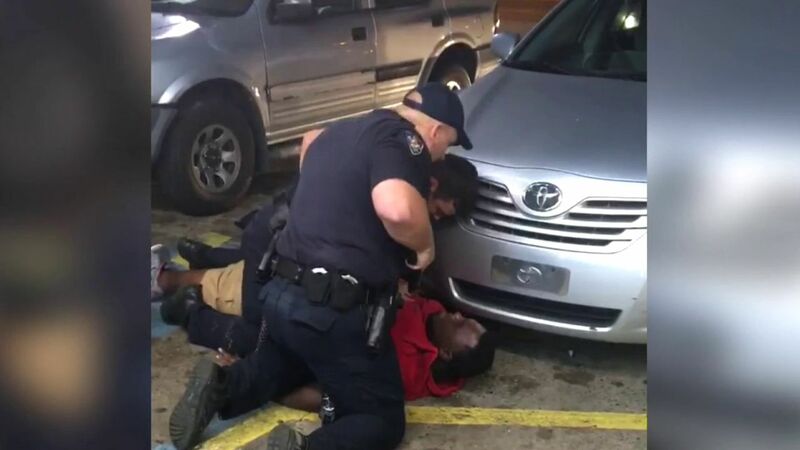 CLEVELAND, Ohio (WABC) -- One of the most powerful messages following the fatal police shooting of a man in Louisiana has been from a police officer, whose video has been seen by millions. Nakia Jones, a police officer in a Cleveland, Ohio, suburb, streamed the video live to her Facebook page Wednesday afternoon, and 24 hours later it's gone viral with more than 4 million views. She said watching the video showing police shoot and kill Alton Sterling in Baton Rouge made her furious. "I watched the video over, and over and over and over and over again, so that I wouldn't become judgmental," Jones said. "Because not only am I the mother of two African American sons, and I have African American nephews, and I have brothers, I am also a person who wears the uniform with the blue." Jones talked about her past -- she said she grew up in an urban area, and later decided to become a police officer in that same community so she could make a difference. "If you are white and you are working in a black community and you are racist, you need to be ashamed of yourself. You stood up there and took an oath," she said. Her message was direct and sharp. "How dare you stand next to me in the same uniform and murder somebody. How dare you. You ought to be ashamed of yourself," Jones said. Jones also pleaded with young African Americans to put down their guns and report police actions that are not appropriate.